The DoTripleMill from Wolverhampton-based Tungaloy UK Ltd (www.tungaloy.com/uk) can accommodate an octagonal insert with 16 cutting edges that can take a depth of cut (DoC) up to 3.4mm. However, if the DoC requirement is greater, then the same cutter body can accommodate an eight-edged square insert with a DoC capability of 6mm. Moreover, the DoTripleMill can also accommodate a round insert. Tungaloy says there are many advantages to these inserts, including the fact that they have the strongest of all cutting-tool geometries and can handle several applications; and with a light depth of cut, round inserts feature chip-thinning that accommodates feed rates to rival high-feed cutters. Contributing to the performance of these cutters is the way the insert is secured in the pocket. The insert has a ground groove around its periphery and midway through the insert thickness. 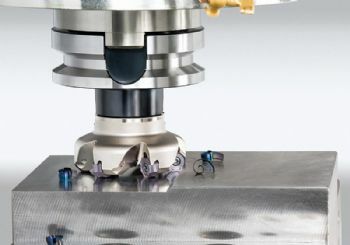 This groove locks the insert into a mating ‘protuberance’ in the pocket; and whereas with conventional face mill cutters the neck of the screw holds the insert down, the DoTripleMill uses the milling-cutter pocket to wedge the insert in place. “This method of securing the inserts acts as a dove-tail locking mechanism that secures the insert, prevents movement, accurately tracks the insert and reduces the strain on the insert screw, which is common with conventional milling cutters. "This allows the use of higher feed rates, while offering improved repeatability, increased dependability and better surface finishes. “Chip removal is often a concern when milling, especially when machining a large DoC. Conventional face mills tend to focus on curling the chip in the radial axis to form a wide-spiral long chip. This can be problematic in large DoC applications, making it difficult to evacuate the chip. "The DoTripleMill inserts have a concave edge that bends the chip in the axial axis. "Inserts are available with MJ chip-breakers for general-purpose machining and MH chip-breakers for heavy roughing. a neutral geometry, the same insert can be used in a right-hand or left-hand cutter. Inserts are available in both CVD and PVD coated grades. 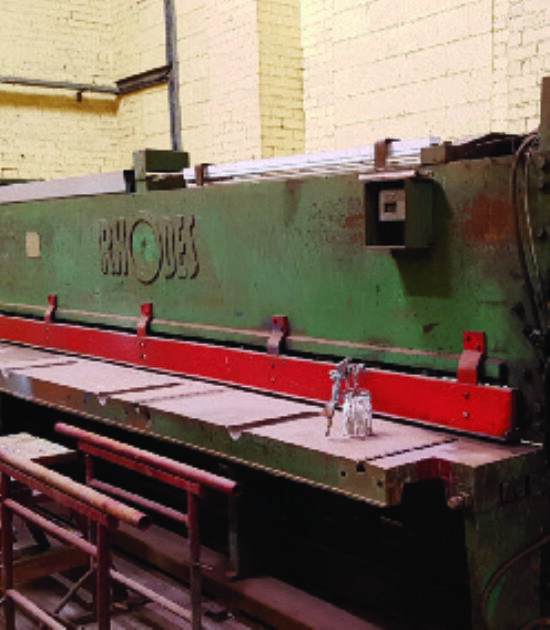 Cutter bodies come in coarse-pitch, close-pitch and extra-close-pitch styles. Diameters start at 50mm and go to 160mm.